Singer Tiwa Savage has come under fire over an alleged relationship with singer Wizkid again. The outfit which featured no bra underneath, got body shamers and all around shamers take to her page to cuss her out. 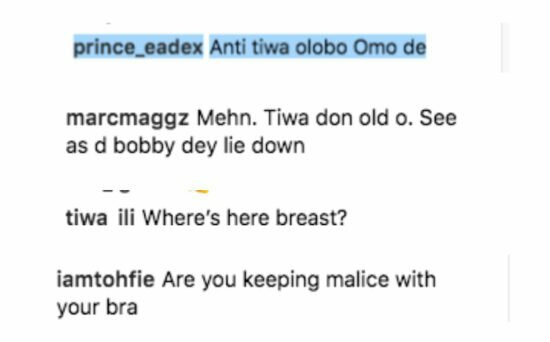 0 Response to "“Tiwa Savage Sleeps With Kids” – Trolls Drag Tiwa Savage"